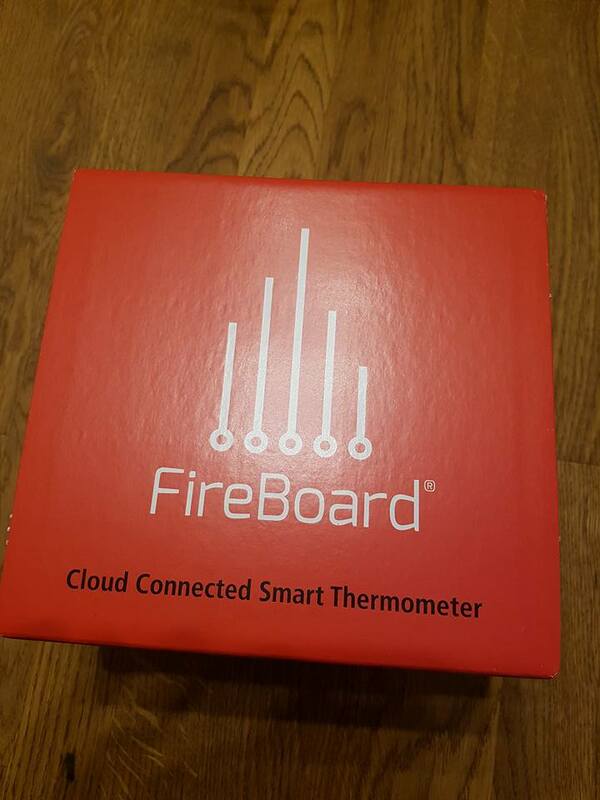 The Fireboard is a new BBQ thermometer with WiFi from Kansas City U.S. with Wifi and internal storage of temperatures so it keeps historical data and syncs with your device, it sounds pretty clever, at the moment it needs to be imported from the U.S. direct as there are no current U.K. distributors. 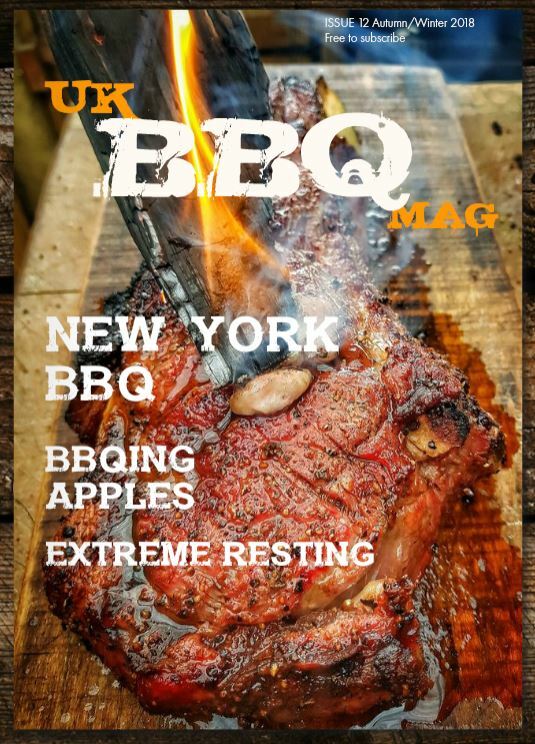 Craig Smith @Zake27 an active member of the UK BBQ community has just imported one of these Fireboards, and gives his initial thoughts from his first cook using the Extreme BBQ Edition here. Out the box it was plug and play in under a minute… turn it on, open the app and input the wifi password and away you go. 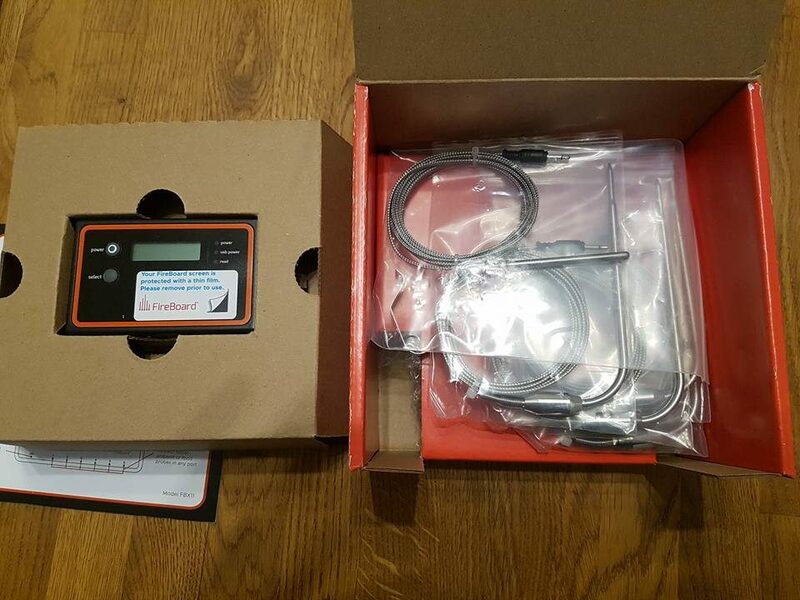 The Controller is about the size of a cigarette packet and mine came with 2 grill probes and 6 food probes. The Bluetooth connection for the device was a non starter for me as neither my s7 or tablet could find it but I’m not too bothered as wifi gave me the freedom to leave the house and still keep an eye on it. 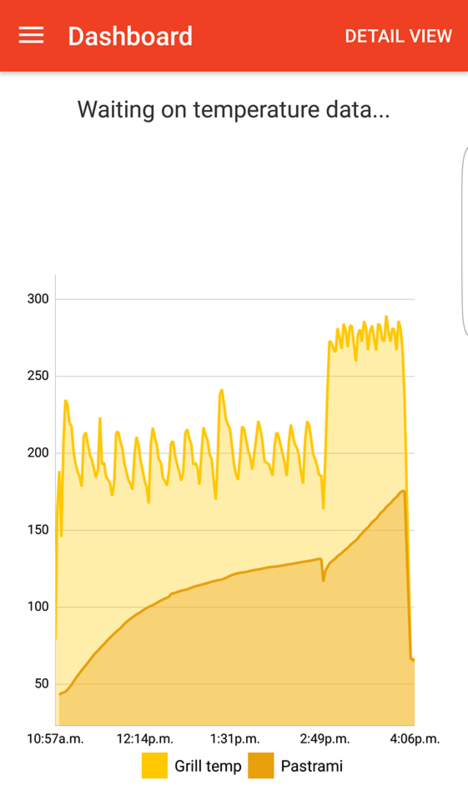 Monitoring on the website was very accurate also. Post cook I stuck my Thermapen in to see how the temps compare and the fireboard was 2 deg C under which I can live with as temp will rise a little bit more anyway. The app is OK but I’ve been emailing Steven at Fireboard and there are developments in the pipeline for it, like different profiles for various foods and drinks and he seems very happy to get feedback to help make the app/product even better. That’s the profile for todays cook on the Traeger. I’ll be doing one on the kamado tomorrow. Here’s what it cost to import to the U.K.
Visit www.fireboard.com for more info. It’s also received rave reviews on Amazing Ribs so certainly looks a great bit of kit.